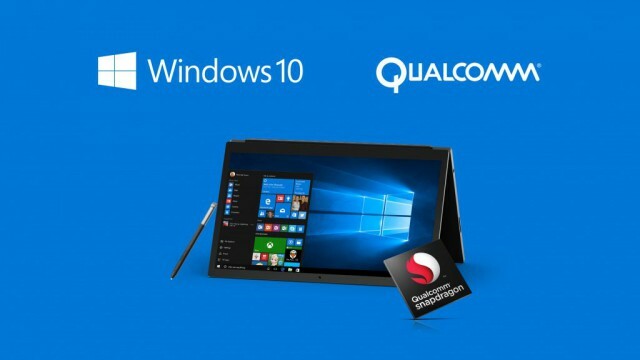 Windows 10 on ARM is a very interesting proposition for road warriors. You get the benefits of a full-featured operating system in a package that rivals the battery life and connectivity options of a mobile device. What's not to like? While on paper it may sound like it offers the best of both worlds, Windows 10 on ARM is not perfect -- at least not yet -- as Microsoft's own documentation raises some serious questions surrounding its usability and compatibility. The problems stem from the use of the ARM architecture, which is different to the x86 platform the standard versions of Windows are designed for. Microsoft notes that x64 applications, which wouldn't normally pose any problems on typical Windows hardware, will not work on Windows 10 on ARM. Developers who are in this situation will have to "submit an ARM version" of their app to the Microsoft Store, if they target the built-in app store. It is not clear how big of a challenge that is, but given that we are talking about UWP (Universal Windows Platform) here it should not be a complicated process. However, developers that have desktop x64 apps will have to offer the x86 version instead to Windows on ARM users. Granted, there are not many situations where only one is available, but it is an inconvenience nonetheless. Users who are expecting to get the same apps will have to research what works and what doesn't. What appears to be a bit more challenging is the fact that apps based on OpenGL 1.1 or later or apps that require hardware-accelerated OpenGL are not supported. Microsoft recommends developers switch to the DirectX mode of the app, which sounds like a more involving process just to support an as-yet unproven architecture in the Windows ecosystem. Microsoft also notes that drivers will have to be recompiled to support the ARM architecture, which, again, can be a problem for users, depending on the sort of devices that they want to use. Since the operating system is so new (as far as I know, no such device has hit store shelves yet), the compatibility issues will likely be revealed only after users get the devices. The Register discovered an older version of this troubleshooting guide, which plainly says that some games will not work (that's the OpenGL problem mentioned above), apps that customize the Windows experience may not work correctly, apps that assume the ARM-based device is running Windows 10 Mobile may not work correctly either, virtualization is out of the question using Hyper-V, x64 apps are excluded as well, and that only ARM drivers are supported by the platform. That's a different tune to what Microsoft is saying now, which, most likely, was changed so that it makes Windows 10 ARM sound a bit less problematic than it is. For developers the new operating system can be both an opportunity and a headache, as they may be able to increase their reach by releasing compatible apps before their competitors, but, on the other hand, the effort of doing so may not be warranted, all things considered. Meanwhile, for consumers, it is difficult to understand just how well Windows 10 on ARM can work at this stage. Yes, there are compatibility and usability issues, but there is also the matter of performance, which, right now, is a major unknown. Initial benchmarks don't paint a nice picture, but perhaps things will improve by the time these devices hit the market.